iPRONTO is a virtual Incubation platform built on Ethereum blockchain which overcomes the limits to entrepreneurial spirit set by political boundaries, location, distance or economic condition. At iPRONTO the belief system is that great ideas know no limits set by economic background, color or location. Its endeavor is to facilitate such novel ideas to blossom and thrive irrespective of their initial limitations. iPRONTO is a single window blockchain platform to foster the global startup ecosystem. The platform is designed to offer a range of services, all valuable to innovators and entrepreneurs, to help them nurture their idea into a full-fledged product. iPRONTO hosts all the stakeholders in the startup ecosystem to facilitate interactions between entrepreneur and investors, government bodies, lawyers and other service providers to name a few. The use of blockchain technology allows the platform to offer unprecedented transparency while ensuring data integrity over a tamper-proof system. With the platform, the creators of iPRONTO are looking to streamline the startup as well as investment ecosystem. It plays a huge role in validating the startup idea and offering the necessary guidance as well as services to the startup through other stakeholders on the system. These curated and incubated startup portfolios can be accessed by venture capital and angel investors to conduct easy due diligence by accessing all the documentation and records stored on blockchain before putting their money on a business of their choice. The submissions will be listed only after ensuring the viability of the business idea, and all the relevant documents, licenses etc will be recorded on blockchain for easy verification and added transparency. 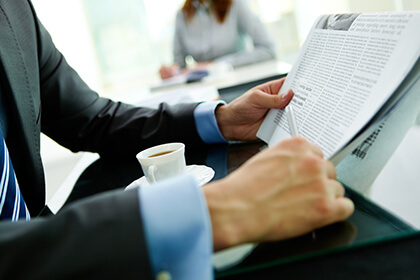 In addition to presenting the business idea to investors, the platform continues to foster the growth of these services by providing them access to incubation services, and facilitating easy access to government services to get the necessary licenses and registrations required for operating in the respective geography. 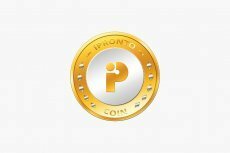 The iPRONTO ecosystem is driven by its native iPRONTO Coin (IPR), which not only acts as a medium of value exchange but also as a community voting mechanism for various decisions on the platform. The IPR token holders will also be eligible to receive a share in revenues generated by the platform. iPRONTO is in the midst of a token sale, presenting an opportunity for the community members to become part of the initiative. Participants in the token sale can purchase IPR tokens at discounted prices and benefit from various incentives and privileges entitled to token holders. More information about the token sale is available on the official website. Community members can also take part in the upcoming bounty program to gain iPRONTO Coin rewards. Disclaimer: Due to current regulatory conditions in certain geographies, the iPRONTO token sale will be unavailable to the residents of United States, China, South Korea, Singapore and other countries where the participation in ICO and token sales are banned. Idea Paradise Technologies is the source of this content. Virtual currency is not legal tender, is not backed by the government, and accounts and value balances are not subject to consumer protections. This press release is for informational purposes only. The information does not constitute investment advice or an offer to invest. Lucyd is the source of this content. Virtual currency is not legal tender, is not backed by the government, and accounts and value balances are not subject to consumer protections. This press release is for informational purposes only. The information does not constitute investment advice or an offer to invest.